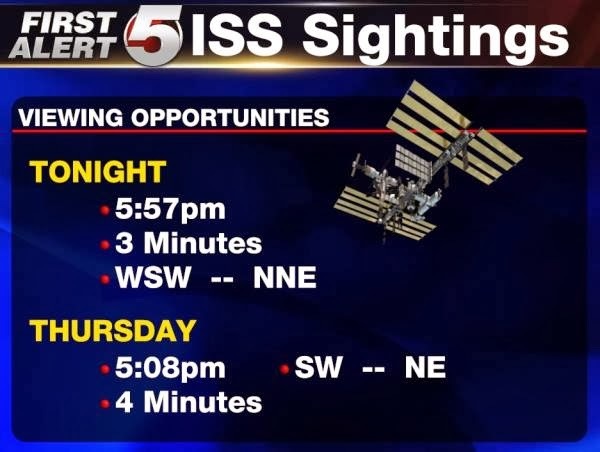 There's an opportunity to see the International Space Station fly overhead later today. 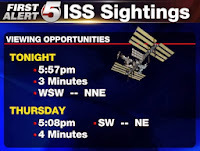 Here are times to look, along with duration and direction the ISS starts/exits. If you live near one of these locations, assume the time/direction are close.